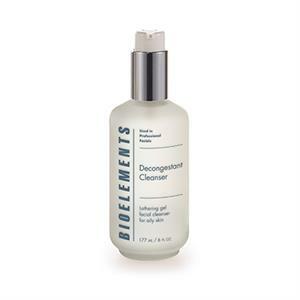 BioElements Decongestant Cleanser is a lathering gel that deep cleanses pores eliminating impurities, make-up, dirt and grime from the environment. It removes excess oil and contains antiseptic plan extracts. The main ingredients are derived from Chinese herbs, roots and aromatherapy oils. BioElements Decongestant Cleanser is suitable for all skin types and is best used in conjunction with other BioElements products such as Face Bruch, Equalizer, and Makeup Dissolver. Containing strengthening and balancing plant extracts from Chinese herbs such as Ginseng, Gotu Kola and Dong Quai, this Cleanser not only cleans your skin but strengthens and balances the oil levels on your skin. The aromatherapy oils such as Lavender acts as an antiseptic and has a calming and soothing effect on the skin- let alone offering a beautiful fragrance. Sage oil is beneficial for managing and balancing the production of sebum and to maintain an even skin tone. Pettitgrain and Neroli Essential oils help tone and invigorate the skin. 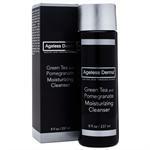 Therefore, using BioElements Decongestant Cleanser will leave your skin hydrated, fresh and most of all radiant. Directions: Using either your hands or a BioElements Sponge, apply two pumps of BioElements Decongestant Cleanser to wet skin and gently massage over the face and neck. Rinse with warm water thoroughly. Thanks BioElements Decongestant Cleanser for making my too oily skin calm and quiet for few days. Wish it would stay forever but let's see. Always I wanted one cleanser that will cleanse my skin at the pore level so that I'll get rid of all those irritating and horrible acnes on my face. I tried many cleanser and clearskin products of renowned brands but dint get fruitful result. Now I hardly get acnes or sometimes in the morning see one or two breakouts but immediately after one day it get vanished as I clean my face with it. I have naturally oily skin and do wear make up as I am an actor. The Bioelements Decongestant Cleaner washes off the make up and makes me feel clean. It also seems to provide me with easier breathing after use. It seems to unclog things that get clogged. I don't know how it works but it does.